I remember when I first started driving I had a map of Portland that I’d highlight the roads I’d driven. Technology has made this much easier with GPSes and mapping software like Google Earth. While I’ve been recording my tracks with GPS when biking and driving this is a bit harder to do when flying. 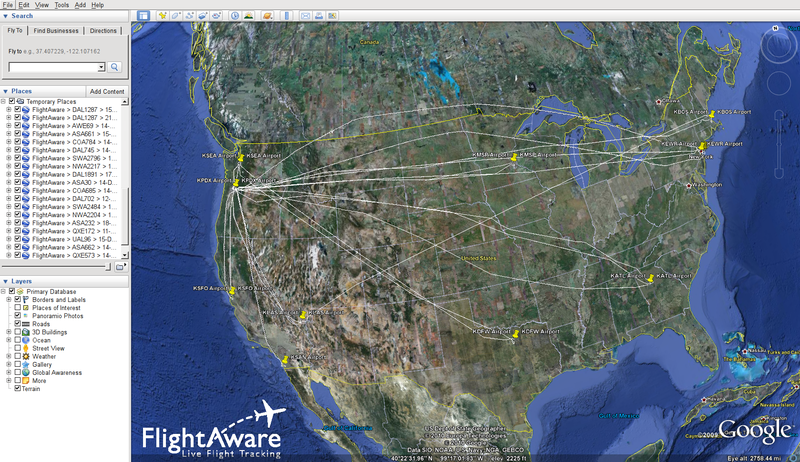 However, I recently discovered FlightAware which allows you to download kml files of flights with-in their service area. 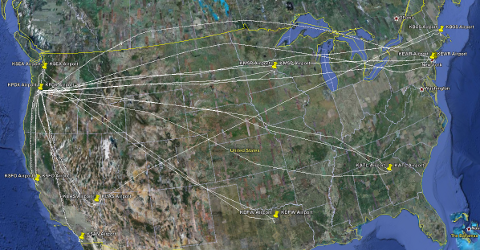 I’ve combined all the flights I’ve recently flown into the following. I’m excited to see how my summer travel files in part of the map.